Red Rock Residences at Red Rock Resort Las Vegas by Station Casinos has scrapped a Red Rock real estate high-rise condominium development in Summerlin Las Vegas after the company’s partnership with a pair of Las Vegas condo developers dissolved. Scott Nielson, Station Casinos‘ chief development officer, said Wednesday the company is looking at various alternatives for the five-acre parcel in Summerlin Centre, south of Red Rock Resort Las Vegas and near a planned outdoor shopping mall. 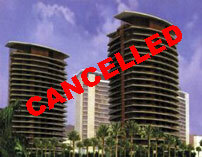 However, he didn’t count the Red Rock Residences condo project out of the picture.